Let’s get this out of the way, Warface is a stupid name; it’s a really stupid name on par with Warfighter and Battlechin (I made that last one up, even though it’s clearly the best title of the three). However, people said that the Wii was a stupid name and it still seemed to do pretty well for Nintendo so I don’t think it’s particularly fair to write it off based solely on that aspect. Warface is a free-to-play multiplayer “very slightly further in the future than modern” military FPS created by Crytek, and is being published on the PC and maybe consoles at some point by (variously) Tencent Holdings, Nexon, Mail.ru and, in Europe and the US, Trion Worlds, and GL’s Ed took an early look at it back in August last year. 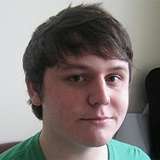 Tied into the launch of Warface is the launch of GFACE, an equally poorly named gaming-focused social networking site that is designed to deliver games to its users via their browser (as long as that browser is Chrome or Firefox), rather than through traditional methods. It is worth bearing in mind that both Warface and GFACE are currently in closed beta and therefore some or all of my experiences may be subject to change by the time they are released. With that in mind, it’s probably not ideal to say that several of my initial interactions with Warface were problematic. While the browser plugin installed without issue and the game downloaded and installed to my machine quite happily, it did not give me any choice as to where I wanted to install it, nor did it give me any idea as to how large the install would be; as a result I am stuck with a (thankfully) relatively small Warface install (2.2Gb) on my OS drive where I don’t want it, without any supported way to change its location or, seemingly, uninstall it. 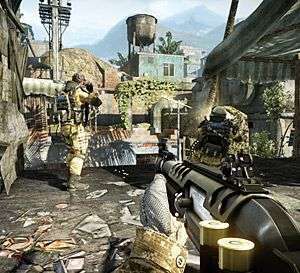 Warface offers a number of fairly standard game modes to choose from; Free For All, Team Death Match, Plant The Bomb and Storm, which can be played on various combinations of the 10 maps currently available, along with a Co-Op mode. Storm is very similar to Battlefield 3′s Rush mode and the Co-Op missions are also Battlefield-esque, while Plant The Bomb borrows directly from Counterstrike, going so far as to disable respawning during the rounds. Games are limited to 16 players, which is a little disappointing for a PC title but not wholly unexpected. Players can pick from one of the mandatory FPS classes of Assault, Medic, Engineer & Sniper, which can be swapped between at respawn, subject to an added 10 second delay, although they have taken the interesting step of allowing you to ban certain classes from games, which opens up some interesting possibilities (although so far I’ve only seen it used to ban medics). 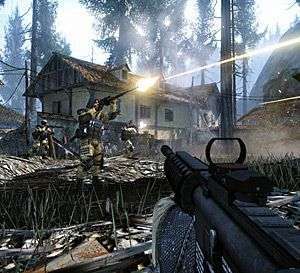 This being a multiplayer shooter, Warface features weapon and gear unlocks, which are earned through the usual means of killing, healing, and helping people and by completing objectives. Unlike most other games, however, unlocking items in Warface doesn’t simply allow you to use them; being a Free To Play release, what it does is allow you to buy them with one of the in-game currencies (Warface Dollars). Dollars are similarly earned by playing matches and completing objectives, with the inevitable option to purchase Boosters from the in-game store that increase the rate at which you earn them; these also boost your XP Rank and item unlock rates. These boosters, along with a few other special items, are purchased with GFACE Credits, which are themselves purchased with Actual Money from your Actual Wallet that is Actually Sitting On Your Desk. Additionally there are Crown Points which are earned by completing Co-Op missions each day and allow you to purchase special “Crown” items from the store. The game looks very pretty, as you would expect from something running on CryEngine 3, and it has some fairly impressive character animation, with people sliding across the battlefield and clambering over walls. Things explode a lot in suitably dramatic fashion as smoke drifts across the battlefield, and while the game does not feature destructible environments it does feature semi-permeable ones that result in many a death while hiding behind a box or corrugated steel wall. On the subject of obstacles, Warface’s maps frequently allow you to work in pairs to quickly scale high walls or gain access to certain rooftops, something which I don’t think I’ve seen in a FPS before apart from during scripted sequences in single-player. Combat is very Call of Duty-esque, with the outcome of most encounters being decided by whoever has the fastest reactions and/or was already sliding along the ground at the time. The maps are fairly constrained and you rarely get picked off from miles away by somebody you couldn’t hope to have seen; most fighting is in close quarters and it’s not uncommon to see a domino effect of someone killing an enemy, leaving them in a weakened state so they immediately get killed by someone else, who’s then killed by another guy that they didn’t notice coming up behind them and so on. Weapon and gear unlocks will have some direct impact on your in-game performance beyond the usual pros and cons of your favourite gun, with some helmets protecting against headshots or letting you highlight enemy claymores, vests that let you take slightly more damage, or gloves that (somehow) allow you to reload faster. Hopefully this will be balanced to avoid giving too big an advantage to those who have invested the time or money to acquire the high-end equipment. 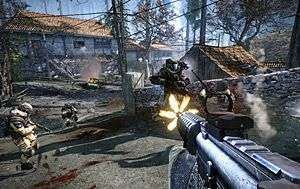 My concern for Warface is that I’m not really sure where it’s going to fit in; there are already many Modern Military Shooters on the market and, other than its free-to-play nature, I haven’t really seen anything yet that really sells it above your Call of Dutys, Battlefields, and Counterstrikes. While the game will be free to play, you will have to sign up for and make use of the GFACE platform in order to play the game, which may be a non-starter for some people. Trion have not yet announced a formal release date for the game in US/Europe but it’s still in the closed beta phase so I would expect it to be a few months away at least.